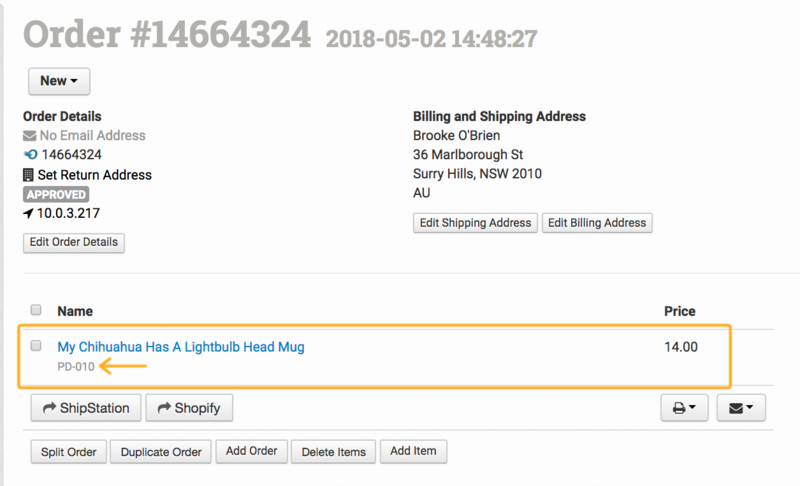 If you need to add extra item details to the items in your orders as they come into Order Desk, you can do so by adding those details to your inventory items here in Order Desk and syncing them into orders. This guide will go over the steps necessary to set this up in your store as well as how to enable automatic sync, how to sync manually, and how to sync with a rule. If you need to sync extra item details into your orders, you will first need to add your inventory items to Order Desk. There are a few ways to do this. This inventory guide goes into detail about your options. 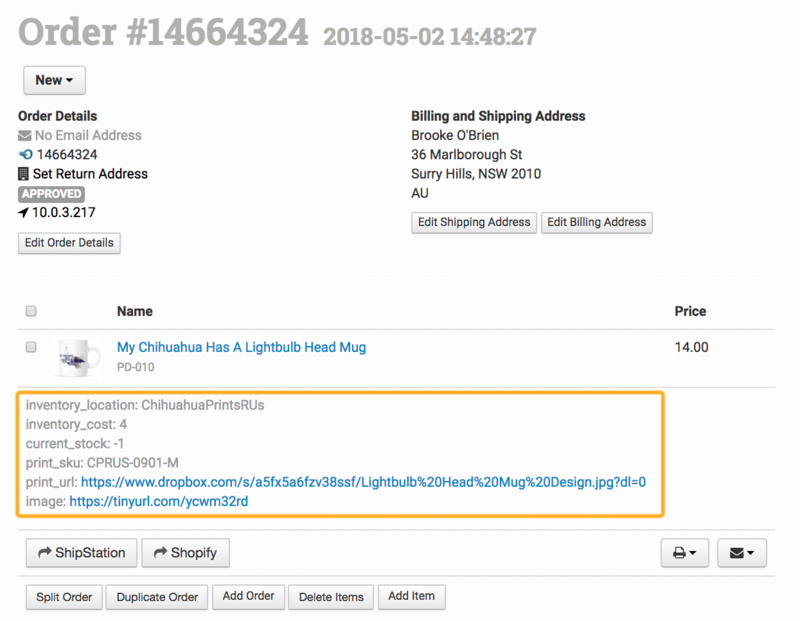 If you have a print on demand store, you can follow the instructions in the print on demand fulfillment guide for more specific details to your product requirements. If you want your inventory items to sync into all orders as they come into Order Desk, you will need to enable the automatic sync option in your store. To do this, go into your Store Settings (under the Settings menu in the left sidebar) and look under the Inventory Settings section for the Automatically Sync Details With Inventory Items option. 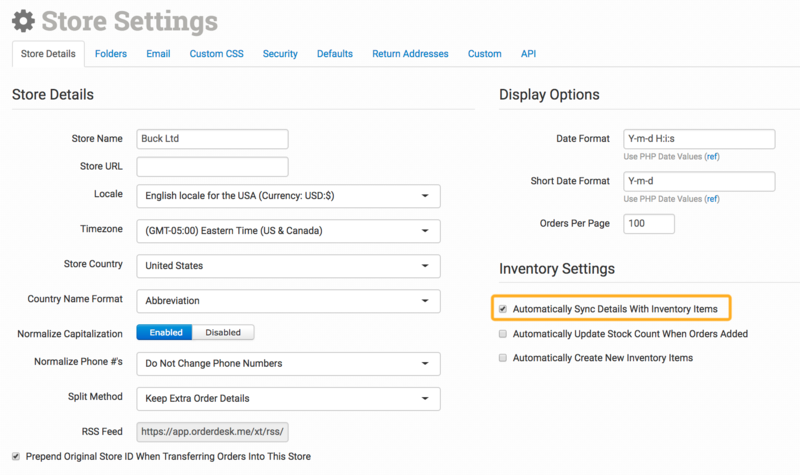 If you do not want to sync item details into every order that comes into your Order Desk store, leave this setting unchecked and follow the instructions below for manually syncing orders or syncing orders with a rule. Item metadata can come in from the shopping cart, be added from a spreadsheet if the orders were imported from a file, or will need to be added by syncing details in from the inventory. If the inventory item details are already accurate in Order Desk, you can update or re-save the item in the order to sync the details into it. If you need to update the inventory item first, you can manually sync the entire order after the inventory is updated. If the inventory item details are already accurate, click on the item name in the order and make any changes necessary (if you need to fix the SKU, for instance), and then re-save. 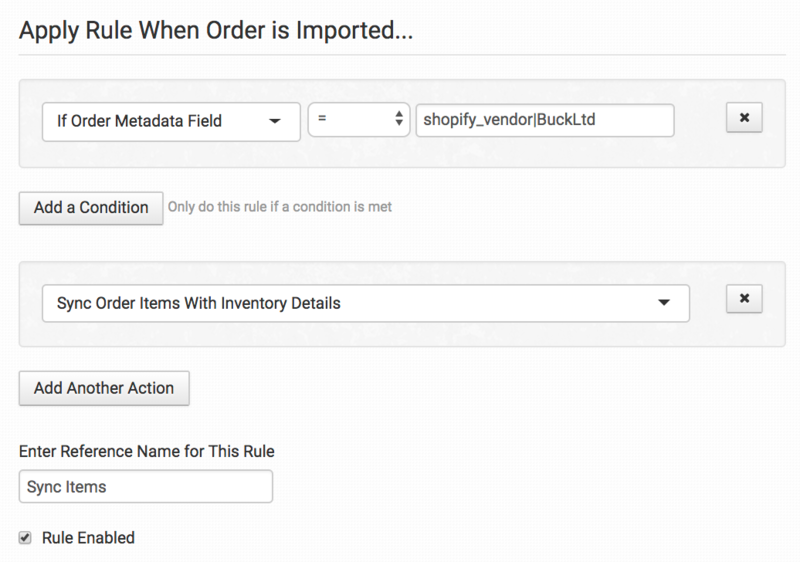 If you need to sync inventory into specific orders, rather than all orders, you can set up a rule to do this using the Sync Order Items With Inventory Details action. You may notice that the price doesn't sync into orders from the inventory. This is because Order Desk honors the price already on the order (typically from the shopping cart) to ensure that reporting between stores and vendors remains consistent. 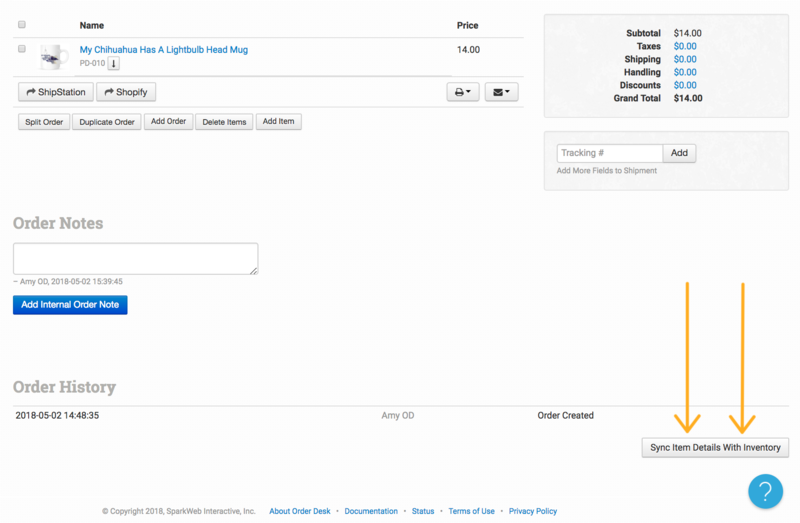 If you need to sync a different price into orders, you can do so by using a special item metadata field in your inventory items stored here in Order Desk. This price will be synced into the order as the price for that item, overriding what is already on the order.